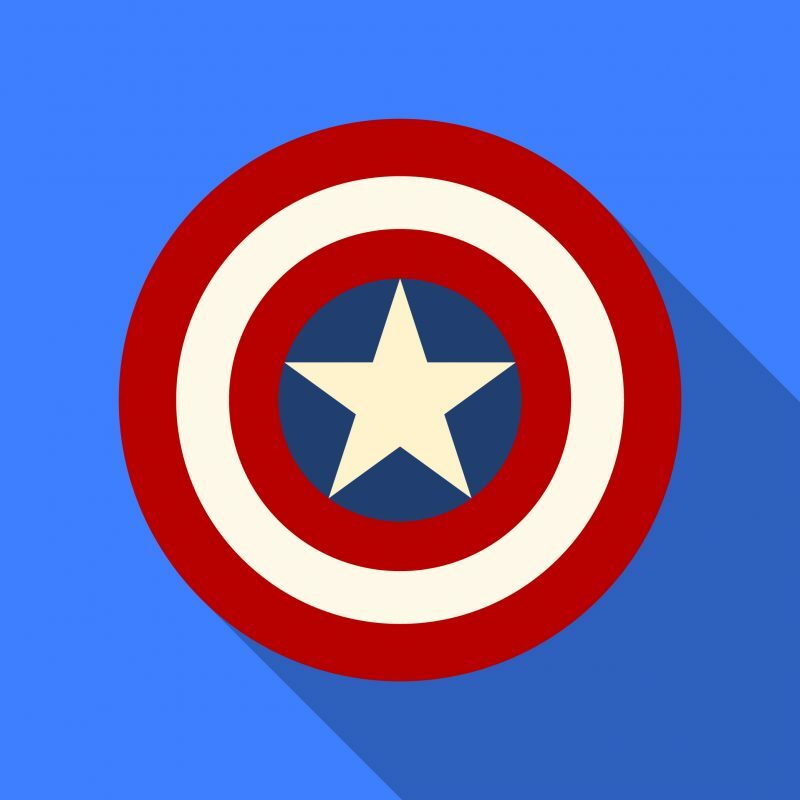 There is perhaps no better icon of old-school courage and bravery than Captain America. In fact, these elements have become the very essence of the character, his charm residing in values that may seem a bit out-dated by today’s modern, grey values. The slot, however, based on the popular Marvel character is anything but old-school. Check our list of the best online casinos to find out where to play! It can be easy to get carried away when you have a comic book hero as a template to work with. The designers at Playtech then have done the sensible thing by restraining the splash and dash, while retaining the essence of Steve Rogers and his team. The five reels of the slot are set against a backdrop where the Captain and his nemesis, Red Skull, stand with their backs facing each other. For the icons, the designers have opted for the iconic shield and the evil villain’s profile in bright red to serve as special symbols. The Captain makes a grand appearance in full suit when you land the sticky wilds. With all the adrenaline-pumping action of the movie, it only follows that the slot should have a bit of high flying fun as well. Enter: The Captain and Red Skull. All the high rewards and cash bonuses can be found when these two appear on the reels. Land any one of the characters with a winning combination and your win will double in value. The symbols themselves appear as expanding wilds that increase your chances of winning a cool cash prize. But the real show stealer is when you can land both of them in a specific combination for a special prize. The first feature is called the ‘Super Energy’ which allows you to maximise your bet amount with each Wild – the Captain and Red Skull. For that to happen you first need to land Captain America on the first reel, the Red Skull on the third reel, and the Free Games symbol on the fifth reel. Then just sit back and relax as the reels make one winning combination after another, boosting your initial bet. There is a second special feature call the ‘2 Super Spins’. We have a soft spot for this one as it is a bit easier to land this feature. Get the Captain and Red Skull together on the reels, and each symbol offers a super spin after all your free spins have ended. The boost here can be up to 600x your bet amount, with a little bit of luck. The mobile version of the slot packs a punch on the small screen as well. We are happy to report that the excitement and the entertainment are not diluted when you switch to your mobile phones. The slot from Marvel can come across as being a tad simplistic when you compare it to other offerings from the studio. But it is the inherent charm of the game, and the character, which helps Captain America to stand out from the rest.